I can’t believe that it’s nearly the end of October and how time has flown. It’s been a busy month for me with lots going on, and in amongst all the excitements (and trying to eat healthily and exercise) I’ve also been offered some lovely products to give away to you lovely readers, and at the end of this post you’ll find details of how you can win. I’ve been fortunate to go on some wonderful press trips around South West Australia which you can read about on my travel blog ZigaZag (You might like 5 Sensational places to visit in Margaret River), and ZigaZag has been named one of the Top 5 Travel Blogs to watch in 2015 which I’m so so happy about. Travel is such a wonderful way to expand your horizons, and as we get older it’s so important to keep exploring and keep interested in the world at large. But now onto what I have to giveaway to you lovely readers. I have one gorgeous, hard wearing, stylish Tote to giveaway. Here’s the lowdown: Size: 35 H x 9 D x 38.5 W (cm), Weight: 0.5kg, Colours: Storm or Viola. It’s a spacious tote, big enough for all my bloggie bits and pieces such as my iPad, my phone, a notebook and other essentials like a small cardi and make-up. I could probably fit in my small laptop if I really wanted to. 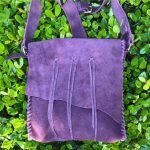 I have this tote in Storm, you might like the vivid Viola as well. The bag is distinctive, hard wearing and the detailing is smart and elegant. The material is functional, lightweight, water repellent and modern. It has tear-proof and slash-proof high-density webbing shoulder straps – so it’s ideal if you’re on the road or traveling. 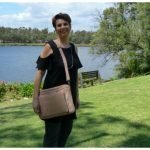 You can buy Hedgren bags in Australia at national retailers including David Jones, Strandbags and Victoria Station. I don’t know about you, but we’ve had our luggage misplaced on a long-haul flight from South Africa to England. We were flying from Cape Town to England via Johannesburg and we arrived in Heathrow but our bags didn’t. 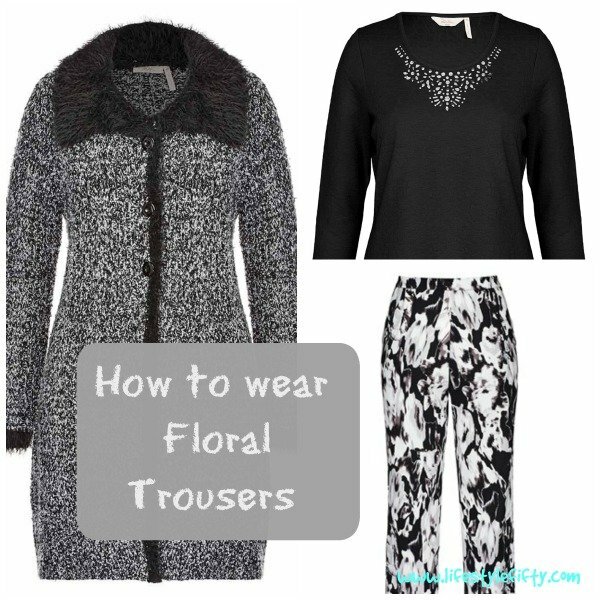 We flagged down a taxi in open toe’d sandals, and flimsy t-shirts just a few days before Christmas while our warm jeans and sweatshirts headed off for a holiday we think to Dubai. Any rate, nobody could locate them, not for 10 days. By then we were dressed by Oxfam charity shops and relying on the generosity of like-sized family members with no thought that our luggage might be reunited with us. It was finally returned to us. But nobody could tell us where it had swanned off to. If only we’d had this product in one of the suitcases at the time. You see the Lugloc device once activated includes 4 free device traces and more traces can be purchased through the phone App with prices ranging from $3.79 for one trace up to $37.99 for 30 extra traces if you’re a serial traveller. It has a 5 year warranty and a fully charged Lugloc battery lasts for up to 40 days. 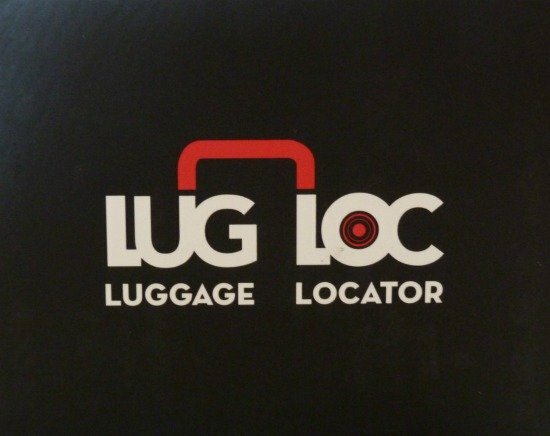 You just activate the LugLoc then place it a suitcase you’re checking in and it will be located anywhere around the world (except Japan or Korea). So if your luggage is lost or misplaced the approximate location of the Lugloc can be viewed on your mobile phone through the dowloaded LugLoc app so you can then use this information to help the airlines return your luggage to you. Lugloc is a small, thin device slips that easily fits into any bag and tracks its movements. If your luggage is suspected as lost, you press the trace button on the LugLoc smartphone app (available to download from iOS and Android app stores) and the location of the LugLoc device will appear on a digital map. LugLoc is the size of a mobile phone and has a 40-day battery life. It weighs less than 40 grams. Available online at LugLoc or at David Jones stores. 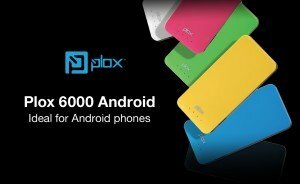 Plox is an external battery for digital products such as the iPhone, Ipod, Samsung Galaxy, SMartphone and other USB-powered devices. It comes complete with a built in micro-USB port as well as a universal USB port for charging non-Apple devices. 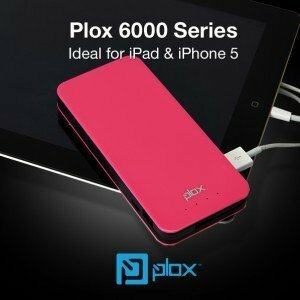 Plox would be so handy to have on hand if you forget to charge your phone or iPad overnight and if you’re caught short on battery power in the daytime. Basically it’s a rechargeable external battery to keep your digital devices going when you’re on the go, or somewhere without a place to plug in. It carries enough power to charge your smartphone several times and can give your tablet an extra boost if it dies on you in a remote location. If you’re not sure how much charge is left in the Plox, all you do is shake it and a light will show to indicate the power level remaining in the charger. Although it looks sleek and petite, it’s actually rugged and durable. Neat eh? Thinks: Might enter myself – I’d really like one too 🙂 But I can’t – so good luck y’all! Here’s a Fab ticket offer for Lifestyle Fifty (and ZigaZag) readers who will be around South Western Australia from 21st to 23rd November 2014.Lifestyle Fifty and ZigaZag subscribers who email me to tell me what they would like to read more about on the blogs will be in with a chance to win a double pass to Sunday’s Gourmet Village. I have 4 double passes to give away. What is the Gourmet Village?The Gourmet Village is a buzzing world of culinary excitement and the perfect opportunity to experience the delectable delights the region has to offer. Hosted at Leeuwin Estate Winery, this is where all our cookery stars from Australia and overseas come together across one action packed weekend program filled with cooking demonstrations, wine tastings, masterclasses, intimate Q&A’s and panel discussions. With summer just around the corner I’ve been thinking about de-fluffing. 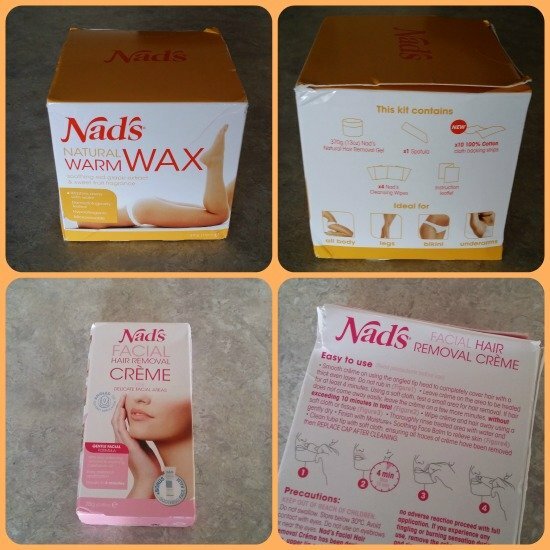 I’m loth to go into too much detail here, but I was mighty glad to be gifted some Nad’s Facial Hair Removal Creme* and Nad’s Natural Warm Wax*. Nad’s is an Australian owned beauty company which has been helping women create smooth hair free skin for 22 years. I think you can get pretty close to salon results at home with Nad’s Natural Warm Wax which is formulated with soothing red grape extract & a fruit fragrance. It’s dermatologically tested and hypoallergenic so it’s suitable for sensitive skin types too. The microwavable wax is designed to remove hair by the roots, leaving skin hair free and silky smooth for up to 8 weeks. The unique formula is water rinsable, washing away easily with water – so there’s no risk. You can use it on your legs, bikini line, underarms and arms. The cotton strips are 100% premium cotton, washable and reusable. 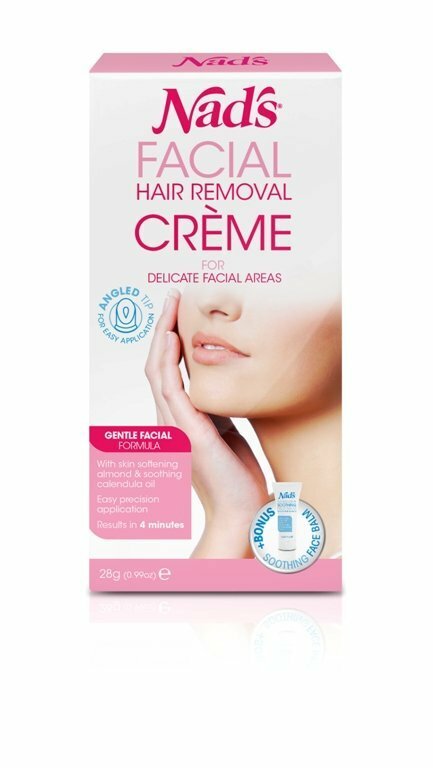 Facial Hair Removal Crème for sensitive skin. According to Nad’s the pain free facial crème has been developed for delicate facial areas such as the cheeks, side of the face, upper lip and chin. Using almond and soothing calendula oil to leave your skin smooth and soft. The precision angled tip applicator ensures the right amount of coverage for effective hair removal every time in just 4 minutes. It comes with a bonus – Nad’s Moisture+ Soothing Face Balm. To be in with a chance to win the items marked for the Giveaway, please read the entry conditions. Show a bit of love and follow Lifestyle Fifty on Facebook. 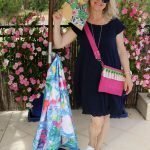 To win, you need to tell me which prize you’d like to win, and come up with a great blog post idea suitable for Lifestyle Fifty or my travel blog ZigaZag by 5pm Perth time on Friday 7th November. 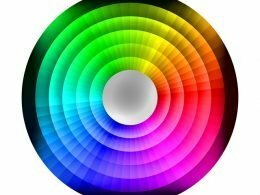 You can send in as many post ideas/titles as you like. The posts I pick will be the winners. (Don’t forget to tell me what you want to win). Spam comments will be deleted. Unverifiable persons will not be considered. 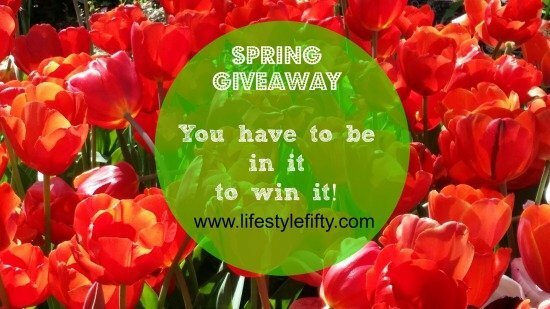 The name of the promotion is Lifestyle Fifty Spring Giveaways 2014. Sorry, but for this competition you must be an Australian resident to win. Other conditions of entry are as stated in points 1-6 above. Entries close 5pm 7th November 2014 Perth, Australia time. Comments submitted after this time will not be considered for the giveaway. This is a game of skill. Winners will be awarded based on suitablility of title for post on Lifestyle Fifty or ZigaZag. The results of the giveaway will be published on this site. 2. Sign up for Newsletter : Sign up for the Lifestyle Fifty monthly Newsletter for tips, hints and information not on the blog. It’s completely free! 3. Write your Great title for my next post in the comment section below! This competition has now closed and winners have been notified by email. Well done Catherine, Kim, Raychael, Michelle, Rhonda, and Lesley. 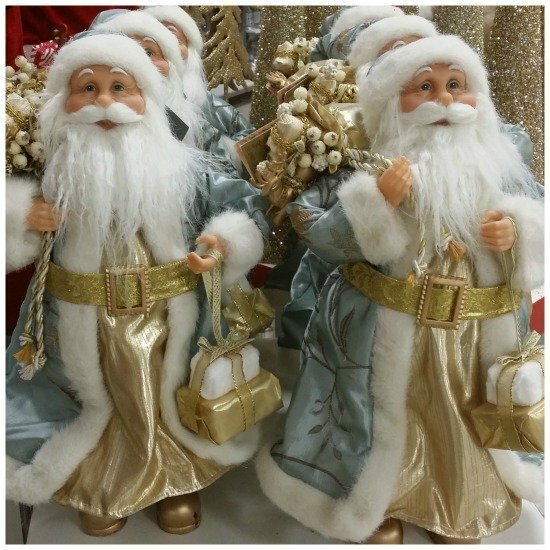 Previous Post: « Christmas Magic! Shop Till You Drop in Perth Australia! Good luck at the awards Jo. Your posts are always fun as well as being full of useful information. I look forward to hearing about the awards evening. The other bloggers would have to be very very good to compete with either Lifestyle fifty or Zigazag. Hi Jo, I have just found your blog as I am a BUPA member and received the “Vote for your favourite Blog entry.” I decided to have a closer look at a few and yours stands out as one I would be interested in,so I have subscribed to your newsletter and liked you on Facebook and have spent an hour reading some of your interesting posts. I also voted for you in the Bupa competition. Now I don’t know if you have heard of AirBnB,but it is a website that caters for home stays in all sorts of places,for those on a budget or not as some places are quite luxurious.You get to stay in people’s homes and I think meeting the people is a great part of the travel experience.Anyway I thought it might be a good starting point for a post about about home stays. I would love the handbag or the Plox as we travel in our motorhome a bit and charging devices can be problematical. Thanks for your blog and intend to become a regular reader. 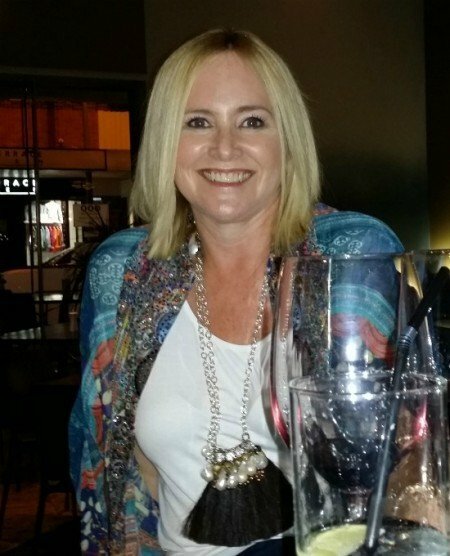 Hello Lesley, Thanks so much 🙂 And how lovely that you’re enjoying Lifestyle Fifty – thanks for voting for me in the Bupa awards too, and thanks for having a go in the competition – yes, the Plox would be a good addition in your motorhome. Hope to see you in the comments here lots, and get to know you and where you travel to as well. I wouod like to win a double pass to the Margaret River Gourmet escape. 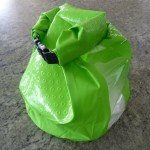 As one who ALWAYS packs too many items to take on holidays, I’d like to see a post about how to travel with the least amount of items possible. You could also invite people to share THEIR ideas for travelling light, then collate everyone’s ideas into a future post! Hi Catherine, thanks for entering the competition. Yes, travelling light is something I don’t do very well either, so a bit of research would be a great thing. Thank you Irene 🙂 So far I’m only a finalist, but I’m pretty darn happy about that as it is. 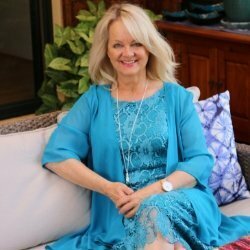 Congratulations Jo on the Bupa nomination! You deserve it! Thinking about your next post title… My Blogging Tips! I for one would love to hear them. Unless you’ve already written that one and if so please send me a link. I love your blog! Great giveaway! I would be happy to win any of those fantastic prizes, starting with the tote. 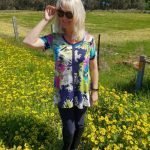 Blog post idea: STAYcation ideas around Perth and Bunbury because I’m guessing my hubby’s work will ruin our plans for a decent holiday and I’m determined to do something special locally regardless. 2. 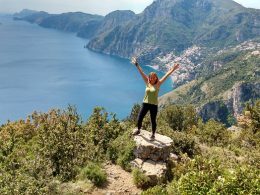 Blog post: How To Make Friends With Other Travellers (i.e. while on your holiday). So, friends as in you keep in touch after returning home. Thanks for entering Rhonda 🙂 Nice idea 🙂 Good luck! It’s a lovely and achievable walk Kathy. 1. 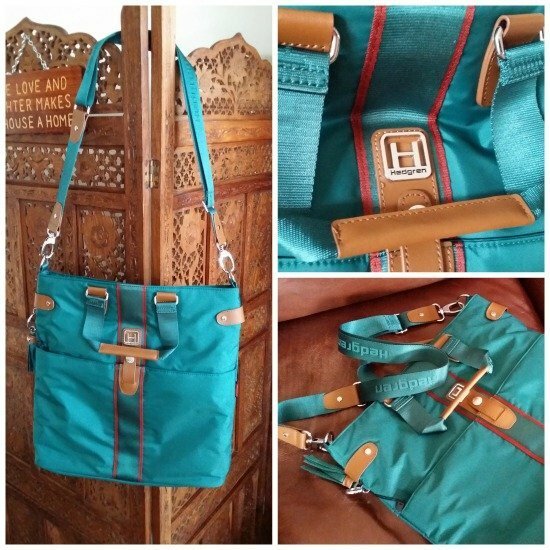 I absolutely adore that Hedgren Tote so that would be my choice. 2. I would like to see a blog post on the Cape to Cape walk from Cape Naturaliste to Cape Leeuwin. It is something I would love to attempt one of these days. Blog Post Idea: Tips on how to pose for photographs. Blog Post idea: Top 5 fiction books you loved and would recommend. Blog post idea: New Norcia, WA. The only monastic town in Australia. Why it’s worth a visit. Already a liker and newsletter subscriber. Oh nice one, Michelle – thank you 🙂 And thanks for letting me know you’re already a liker and subscriber.